Read our helpful guide to second hand Fiat Fiorino. AA Cars works closely with thousands of UK used van dealers to bring you one of the largest selections of Fiat Fiorino vans on the market. 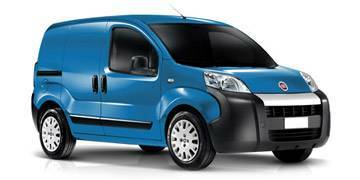 You can also browse Fiat dealers to find a second hand van close to you today. All used Fiat Fiorino on the AA Cars website come with free 12 months breakdown cover. The Fiorino name is one used by the Italian manufacturer for the van models of their small cars, and so over the years has come in many different forms and guises. The most recent generation is the sister car to the equally nimble and compact Citroen Nemo and Peugeot Bipper, and like those cars, is both a serious load lugger and a brisk and fun city car. The 1.3 litre MultiJet diesel with either 95bhp or 75bhp gives the relatively mini car some serious get up and go, while fuel efficiency is good and run costs remain pleasingly low. It might not be quite as useful as some of its bigger panel van rivals, but it for those who need luggage space and power in the city, the Fiorino is one of the best.